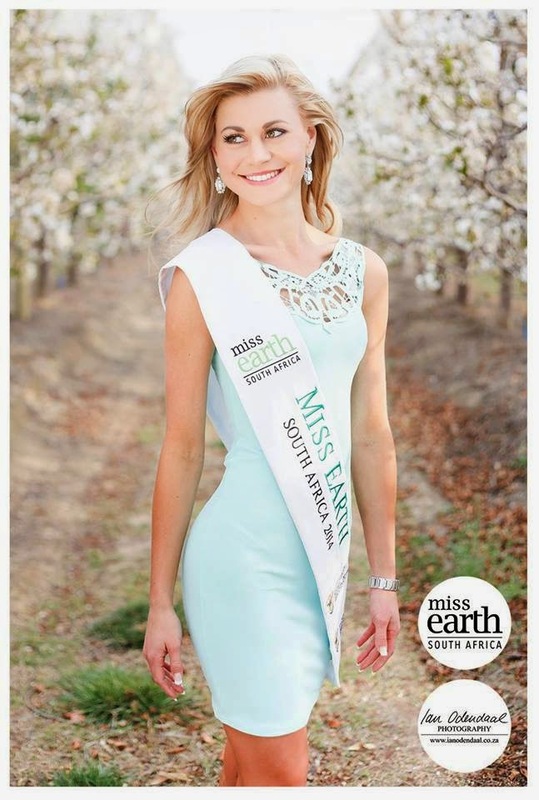 Ilzé Saunders was appointed Miss Earth South Africa 2014 at an event in Johannesburg on September 4, 2014. She will represent South Africa at the 2014 Miss Earth pageant to be held in Manila, Philippines on November 29. Critical Beauty would like to thank Ilzé for granting us this interview and wishes her the best of luck at Miss Earth! I believe in the importance of role models within society. They help us become the person we want to be and inspire us to make a difference. A person who can positively influence and encourage people to their full potential. That is why I am invested in this programme as Miss Earth SA which is making a positive and sustainable difference in taking care of people and our planet. 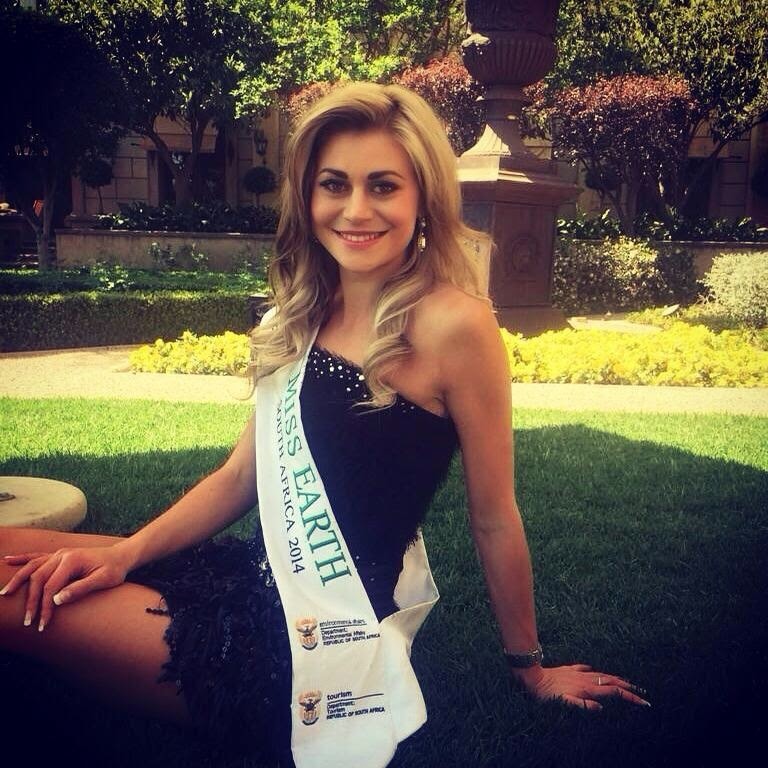 How does it feel to represent South Africa in Miss Earth 2014? I feel very blessed and grateful. I constantly want to dig in the soil and get my hands dirty and promote positive change and serve my beloved country. I want to embrace this amazing brand and show the world my love, positive attitude and ability to create opportunities for a greener future for all. Tell me about your country and why we should visit it. South Africa is a vibrant, unique and effervescent nation where one doesn’t have to drive far to be at peace with nature. We have the most diverse group of people with the most interesting cultures and traditions. We share our home with the majestic Big 5, and an amazing spectrum of nature, mountains and beautiful oceans. Growing up I have always been a driven person, driven to make a difference in other peoples lives; even if it is one person at a time. I grew up on a farm, loving nature and animals and to appreciate the beauty that the earth produces. I realise that we need to preserve our mother earth. Being a natural leader I was a Drum Majorette and the leader of my team and had the opportunity to fulfil many leadership roles. Leading, giving and caring is my passion. I always wanted to be a role model, to represent the people and do something where I can make a difference. Strengths: Self-confidence, passion, independence, openness, thoughtfulness, warmth, sincerity, driven, creative, positive, optimist. Weakness: I am too driven, and never stop asking assistance from my loved ones. I work extremely hard. I’m blessed to have family and friends who support me and who are always there for assistance and advice. Give three adjectives that your friends would use to describe you. I see a woman who loves helping others, someone who is driven to make a difference. I see poise, being comfortable in my skin and believing in myself and walking for a purpose. I see the passion and energy I project as well as my commitment to everything I do. I believe success cannot be measured by what you have achieved, but by the way you are remembered. I believe we need criticism so we can improve who we are. Bob Murray famously said that as long you live, you shall grow. Criticism makes sure of that! Giraffe, I believe that they have the ability to see the bigger picture while remaining grounded. Coming from humble beginnings, I can totally relate to that. What is the environmental advocacy that you are promoting right now and that you will promote when you compete in Miss Earth 2014? I made my passion a reality and in the process I discovered who I am. It all started with a dream and a big heart. My passion for people and the environment started many years ago. I got involved with several organisations. I was part of the Student Rag Community services, helping disabled people. I was also privileged to be elected to the House Committee of Karlien Residence. Portfolio Student RAG Community Service (SRCS) with a kindergarten in the Promosa township of Potchefstroom. This Project has 80, 2-5 year old children from a disadvantaged background. I was a member of the WOW (Women of Worth) Charity committee and was the Founder of Charity project – “Lappieskombers” project. With this project the main focus was on unemployed single mothers of Sonderwater, in the North West Province. We taught these mothers to make “lappieskomberse”, and sell them as, so as to create a financial benefit. This development of skills, creates independence and a sustainable income. I was elected to the Student Representative Council (SRC) of the North West University Potchefstroom campus as Chairperson of the SRC: Liaison. I chaired many projects but being the founder of the “Toeka-Makiti” project raised the bar. With the assistance and support of my committee, this project was created for all the North West University Potchefstroom campus students. This project focused on building the NWU PUK identity, pride and unity. What I mostly appreciate about my university is that we form part of the green initiative. I believe in serving the people of South Africa, I am proudly South African. We all face so many challenges. To deal with these challenges, the future of this world, the youth, needs to be educated, trained and develop the most important characteristic, CONFIDENCE. Confidence to communicate, administrate and educate everyone close to them. It is my dream and passion to provide the opportunity for young people to enrich themselves with leadership skills and other empowerment skills. To be able to share and gain knowledge would also enrich me as a person, and further my personal development and growth. I have learned through experience that no challenge is impossible if you have confidence and knowledge. A positive attitude and the will to succeed needs to be implemented amongst the youth and that will be my main objective. I want to serve. We are capable of effortless change when we unite and tackle environmental and community issues together. Being a down to earth young woman I have never been scared of digging into the soil and get my hands dirty and promote positive change and upliftment. I want to touch people with my positive attitude, love and ability to create opportunities. The environment is dear to my heart. My own lifestyle is a reflection of this green initiative as I try to save and preserve as far as I can. I am proud to call myself an Earth Warrior. One tree can start a forest and I want to be that tree that can plant sustainable seeds in people’s hearts so that they can strive to be remarkable. Technology makes life very convenient but it is also being blamed for certain environmental problems. How do you propose to find a balance between technology and Earth preservation? I believe it is important to find common ground rather than staring at the differences. I believe that technology can help in preserving our Earth. All we earthlings need to realise and do is to find the links. We cannot recycle without the technology used in recycling plants; we cannot practise a greener work ethic without computers, email and cloud backups. As long as we are willing to see the correlation between the two we will be able to smash a perception that could otherwise be positive. If you were to save only one of the two elements of Mother Nature, water or air, which would you choose and why? Clean air is vital to our existence and we need to survive to create carbon dioxide for plant to survive and create even more clean oxygen. We can always rely on good old condensation to create water than we can on anything creating clean air. How would you describe the beauty of nature to a blind child? The fresh feeling when it is hot and you walk outside and feel that cool breeze sweep the heat off your skin – that is what nature is like. It gives you hope. It creates a symphony in your senses that forces you to stand still for but a moment, take a deep breath and find the courage to overcome anything. Which has more significance to your life right now – sunset or sunrise? Sunrise... It represents a new day, new life, new beginnings... new step towards a better future a new day to make a difference. What do you think of pageant contestants who have done cosmetic surgery just to enhance their beauty and think that they have a big chance of winning a crown? Does not worry me, nothing wrong building confidence, but cosmetic surgery is not something I would ever consider. I am grateful for who I am. I believe we should be grateful for who you are and embrace the beauty and uniqueness which is given to us. Get a tattoo. I am very comfortable with myself and I don’t believe in tattoos. Extreme Makeover: Home Edition. I am inspired to see people making differences in other people’s life. True or false – people who are attractive tend to be more successful. False, I believe that it is the amount of work you put into anything that determines your success and not the way you look. I have always been a person who looks at a person’s heart and intentions. Do you have a problem with saying no? No, I have strong beliefs and values. If it doesn’t portray who I am I will say no in order to protect myself and be pure, true and humble. Someone who makes me laugh, is positive and adventurous. I love hiking, canoeing, enjoying nature being active and healthy. Sight-seeing and enjoying our blessings of having beautiful scenery. You are going to compete at Miss Earth this year. Aside from winning the pageant, what do you wish to accomplish in this said competition? I want to grow, broaden my spectrum and learn. I want to make friends and I want to make sure that I will be able to play an important role in each candidate life. I want to show everyone my love and positive attitude. Share my passions and be an inspiration. Why do you want to be the next Miss Earth? Being a down to earth woman, I have never been scared of digging with my hands in the soil and getting dirty. I can inspire change and give hope. I want to create practical ideas which promote the lives of people and planet. I want to touch people with my positive attitude, love and ability to create opportunities. 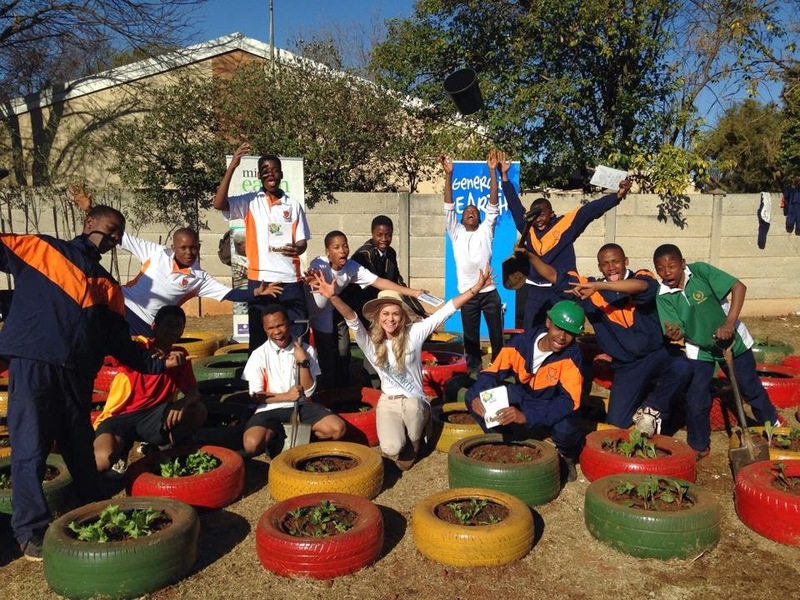 Miss Earth is a a role model and has a purpose, greening and educating. Miss Earth is relevant to our daily lives. We need to see the importance of creating green awareness and not only that but instill hope and planting sustainable and positive seeds in people’s life. I want to tackle each challenge with enthusiasm to help grow future generations to be better citizens of the earth. I believe one tree can start a forest. I am a country girl who is blessed to be doing something that not only comes naturally, but also means a lot to me. Making this planet a healthier and better place to live in is my reason for getting up in the morning. But I am sure that if you ask yourself how it is you feel about the earth and all its splendour, you will see that building a sustainable and eco-friendly future is as much a part of you as it is a part of me. The happy challenge is off course to motivate people to take hands and collectively build towards this better future. I want to promote the "Yes we can!" attitude. Educating and greening is the key to our success. It's hard work but I want to learn and do more. I believe this journey will let me grow even more. I know that Miss Earth and Carousel Productions will not only enrich me but I also have the confidence and humbleness to bring to the platform to be able to enrich Miss Earth as well with my hardworking and positive attitude. Hot, summer, flowers, trees, life. Countryside, my parent’s farm was my playground to be able to see the beauty of the earth and to take care of it so it can produce beauty. Fame so that I can be a role model and portray positive influence and changes. I believe in serving the people. The crown would be my focus, and I would dedicate my career to being successful in this role. Being hands on and a success allows me to make a sustainable difference. Finally, what is your message to all your Critical Beauty fans who are supporting you? I have learned through experience that no challenge is impossible if we have confidence and knowledge, a positive attitude and the will to succeed. Believe that one tree can start a forest, by giving hope inspiring change. Believe that you have a purpose. Dream it and achieve it.